The Farm has consistently been named one of the Best North Carolina Mountain Communities. The unique topography features rolling hillsides at the foot of majestic mountains giving way to meadows, pastures and ponds. Hanging Rock Creek, home to native trout, bisects the property. The community meticulously blends home sites into the surrounding native vegetation. 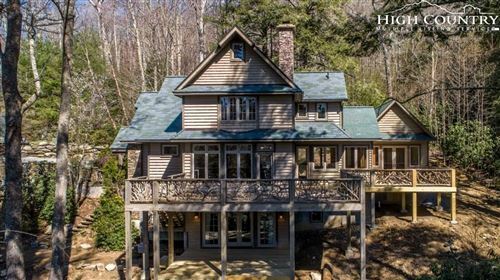 Century-old giant hemlocks mix with large thickets of mountain laurels to provide a natural setting for carefully planned properties. The Farm is a unique environment fully integrating a private lifestyle with a uniquely rustic flavor. Conveniently located in the North Carolina High Country, The Farm is within walking distance of downtown Banner Elk, NC home to unique shops and award-winning restaurants. 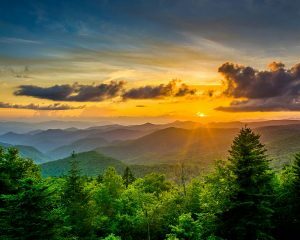 Our mountain property is surrounded by the High Country’s most popular destinations including Grandfather Mountain, Linville, Blowing Rock, Boone, and Sugar Mountain. The Farm at Banner Elk is far more than just another gated mountain community. Tucked into North Carolina’s Blue Ridge Mountains, the 140-acre site is within the city limits of Banner Elk yet you feel as though you are miles away from it all. The Farm’s pastures, walking trails, outdoor pavilion and stocked trout ponds were carefully planned by developers and preservationists Robert and Sterling Collett (first cousins) to create an environment that is unique in Southern mountain communities. Whatever your favorite time of year, Banner Elk and Avery County offer an array of outdoor activities. During the warmer months, play a round of golf on a championship golf course, fly fish in the mountain streams or hike an abundance of scenic trails. For the more adventurous, challenge yourself by mountain climbing, kayaking or whitewater rafting. During the winter, ski one of the many mountains in the area including Sugar, Beech, Appalachian and Hawksnest. Fall brings spectacular colors to the Blue Ridge Parkway and the High Country. Also during this time, Banner Elk hosts the Wooly Worm Festival attracting almost 20,000 people annually to the community for mountain music, crafts, food and fun.